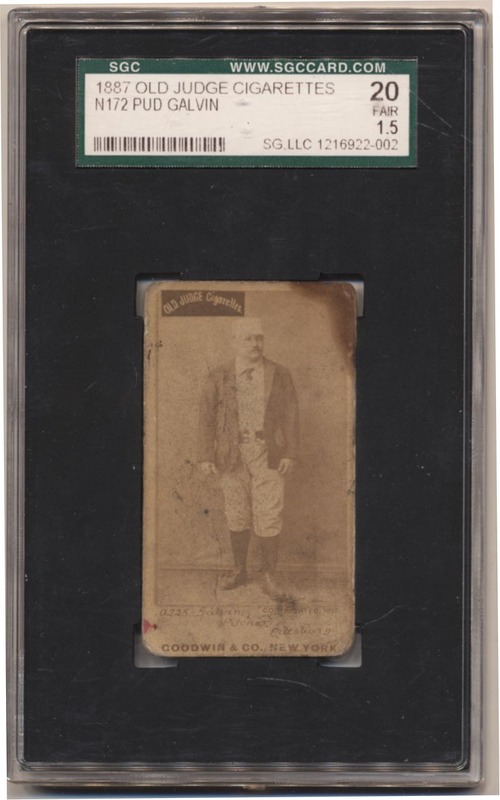 Very scarce Old Judge HOFer, these are always very desirable. The offered card has a respectable image of a well dressed Galvin peering just to the right of the camera. The front has staining and general wear, no real creasing. The corners exhibit consistent wear, the back is reasonably clean. This is a fully presentable example of a very tough card.